Nathaniel Johnson, also known as Fam-Lay (born May 28, 1974) is an American rapper from Norfolk, Virginia. Signed to The Neptunes' Star Trak imprint, he first gained notoriety through several guest appearances he made on various Neptunes-related projects, including the Clipse's debut album Lord Willin' in 2002. He also later appeared on The Neptunes' compilation The Neptunes Present... Clones in 2003, which featured his song "Rock 'N Roll". Then in 2004 he had the single and video "Rock N Roll (Remix)" featuring Lil Flip. It gained heavy rotation on MTV Jams. He also was featured in the video game Def Jam: Fight for New York (2004) in which he was a playable/fightable character added into the storyline. He planned to release his debut album, titled Traintogo, in March 2004, through a joint venture between Star Trak and Def Jam Recordings. Unlike most Neptunes-helmed projects, where Pharrell and Chad Hugo handle almost all of the production duties, Traintogo was unique in that it was to feature production from outside producers, including Lil' Jon and David Banner. After suffering several delays, Traintogo failed to meet its scheduled release date. To further complicate matters, Fam-Lay's deal with Def Jam fell through, and he was dropped from the label in July 2004. Traintogo still has yet to be released. He is currently wrapping up on the second iteration of Traintogo, re-e seen titled Dat Missile. The time has allowed him to re-tweak Dat Missile into a well crafted and solid effort, with 70% of the production done by The Neptunes, additional beats by DJ Toomp and guest spots from Three 6 Mafia, David Banner and the Clipse. Dat Missile was set to hit stores on October 25 via Star Trak/Interscope Records, but has yet to be released. Its first single is "Da Beeper Song", produced by The Neptunes and the video was shot by Hype Williams. Fam-Lay can be seen in a cameo shot in 2005's "Can I Have It Like That" video with Pharrell. Also he can be seen sitting in front of a car in the Clipse's music video "Mr. Me Too", as well as briefly standing in front of Pusha T on the video of the remix to N*E*R*D's "Everyone Nose" (also featuring Kanye West and Lupe Fiasco). Da Beeper Record Video shot by Hype Williams. The second single is called "No Time 4 No's" with Pharrell and Clipse which is actually from Fam-Lay's unreleased album Traintogo. In 2011 Fam-lay started his comeback by releasing 'Whats my name' & 'Look into my eyes' both produced by new up & coming London born producer Nana Rogues. 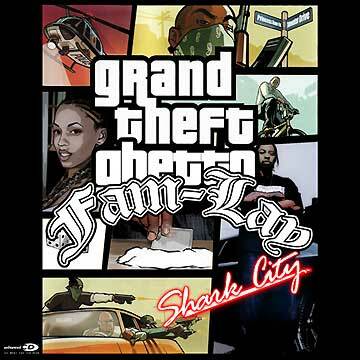 Fam-Lay released an official single called "Clap Clap" in January 2012, produced by Nana Rogues. Fam-Lay is a playable character in the video game Def Jam: Fight for NY. ^ "Fam-Lay". Discogs. Retrieved 2017-09-01. ^ Group, Vibe Media (2007-09-01). Vibe. Vibe Media Group. ^ "Fam-Lay To "Git Busy," Prepares Debut Album". AllHipHop.com. Archived from the original (Online news article) on March 21, 2006. Retrieved June 11, 2006. ^ "Nana Rogues". SoundCloud. Retrieved 2016-05-25. ^ "DatPiff :: The Authority in Free Mixtapes". DatPiff. Archived from the original on 2007-02-18. Retrieved 2016-05-25. This page was last edited on 4 February 2019, at 03:23 (UTC).